Gus the Groundhog is back. 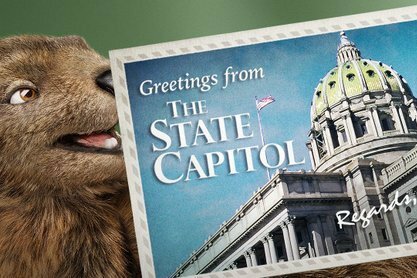 Pennsylvanians may remember an eerily realistic, nasally voiced mascot that graced their television sets for years before going into hibernation in 2012. Well, after a "semi-retirement," Gus is back. State lottery officials announced Monday that the lovable (or incredibly irritating) and furry ad-rep has returned. In a news release, the lottery announced that Gus would return as the mascot for the state's instant games after "popular demand" for him to come back, referencing his famous catch phrase "keep on scratching!" Ahh just saw that cute little Gus groundhog PA lottery commercial. Yesssss! I'm here for the holiday commercials.